July looks great for new DVDs! Paramount Home Entertainment has announced a 2-disc collector’s edition of Van Helsing ! The Stephen Sommers directed film will be available to own from the 8th July. Extras will include a commentary with Director Stephen Sommers & Editor/Producer Bob Ducsay, a second commentary with Richard Roxburgh, Shuler Hensley & Will Kemp, multiple featurettes, bloopers, trailers, TV spots, and more. 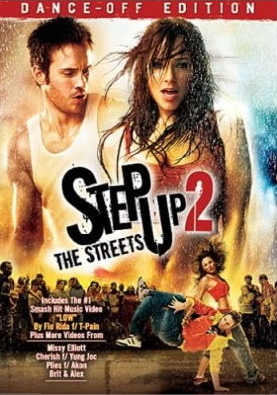 AND Step Up 2: The Streets “Dance Edition DVD” hits the stores 15th July! According to boxofficemojo.com Step Up 2 : The Streets opened at Number 1 in the Australian Film Charts and according to imdb.com Number 3 in the UK! Beginning it’s worldwide release this past Easter weekend by opening in the UK and Australia, SU2 according to Variety, made $21,890.00 million - boosting it’s worldwide gross total to $ $77,348,225 million and spawning rumors of a Third Film… in 3-D!! Step Up 2: The Streets - @ $55m in the US! Having caused quite a ruckus, divided Critics and with 5 days to go till it opens in the UK - SU2 is currently @ $55,429,000 million in US according to The Numbers ! The Director of Step Up 2: The Streets talks to The New York Times about finally finding success in his feature film debut. “Step Up 2 the Streets,” the sequel to summer 2006’s sleeper hit “Step Up,” was headed for No. 2 in U.S. and Canadian box office sales with about $29 million for five days, based on Sunday’s studio estimates. Step Up 2: The Streets - Opens today in the US! Spywitness @ la.com has a piece from the Premiere after party and we have the final Fifth & Sixth pics of our Blake Collins Gallery for you to enjoy! (thanks again to Disney Studios) Wishing everyone on SU2 a great opening weekend and everyone else a Happy Valentine’s Day date at the movies! SU2 - Movie Stills & Behind the scenes footage! Third & Fourth Movie stills of Will in Step Up 2: The Streets PLUS a look behind the scenes of the upcoming movie!! - According to several UK cinema sites and imdb.com the UK release date for SU2 looks to now be 21 March 2008… I guess it pays to be in the US this time! Step Up 2: The Streets - Second Film Still of Will! Here is another Glimpse of Blake Collins - as promised! You are currently browsing the archives for the Step Up 2 category.